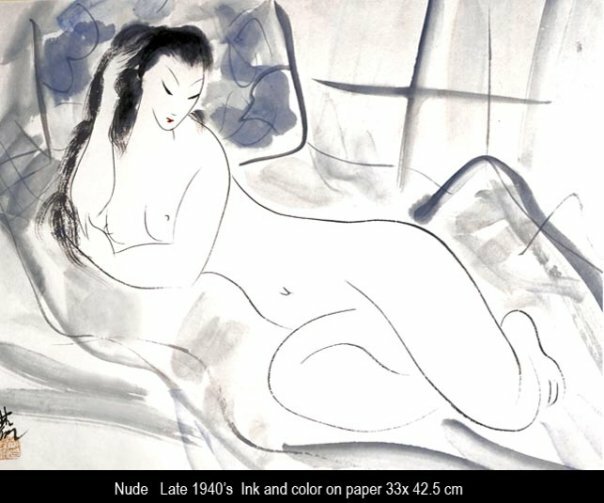 Lu Shoukun (1919-1975) left China in 1948 to become a influential figure in the Hong Kong art scene, where he founded and championed the New Ink Movement. 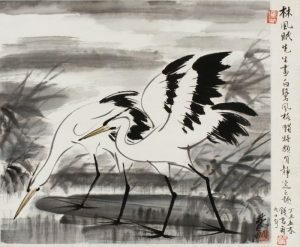 Ink painting is a powerful tradition in Chinese painting (and „a way of self-cultivation by scholars to enhance morality and the mind“), and Lu Shoukun aimed at taking it into another era, reconcile it with modernity. He draw upon Western avant-garde and integrated it into his own vision. 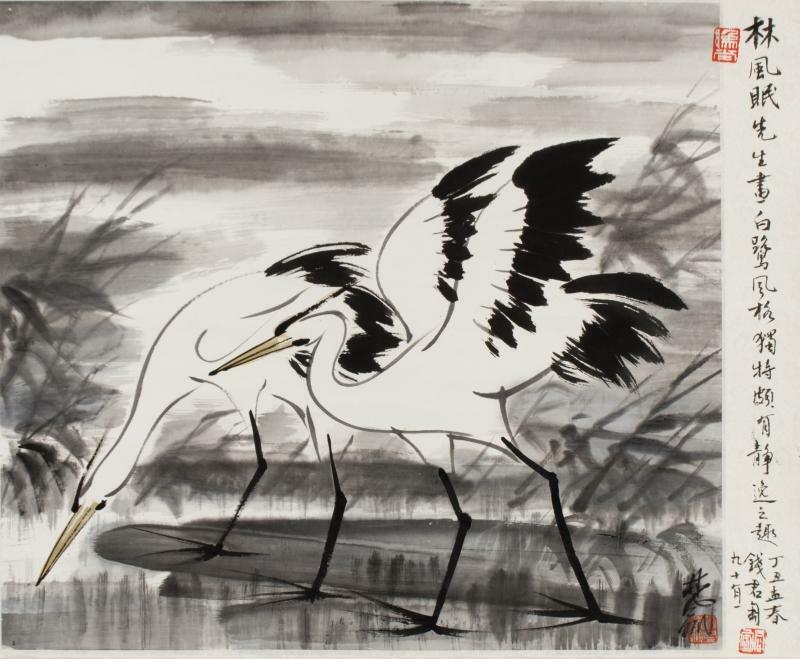 The height of his vision he reached toward the end of his life with his „Zen paintings“. They consist mostly of bold and broad brushstrokes on a (usually) white background and a red dot (signifying a lotus or a butterfly). Adapting the langauges of Western Abstraction, Abstract Expressionism or Action Painting, the Zen visions seem both bold and devoid of gravity as they seem effortless created, within a moment, to reunite it with the timeless, formless and eternal as well as with sweetness and the living world and the pulsating heart (the red dot). 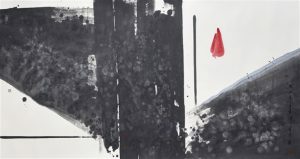 In Lu Shoukun´s Zen paintings, the West and the East mirror each other and show possibility of integration, and especially 1974´s „Zhuangzi“ delivers the quality of an icon. Like Lu Shoukun, Liu Guosong (b. 1932) is an important pioneer in Chinese modernist painting, and he is even considered the „father of modern ink painting“. 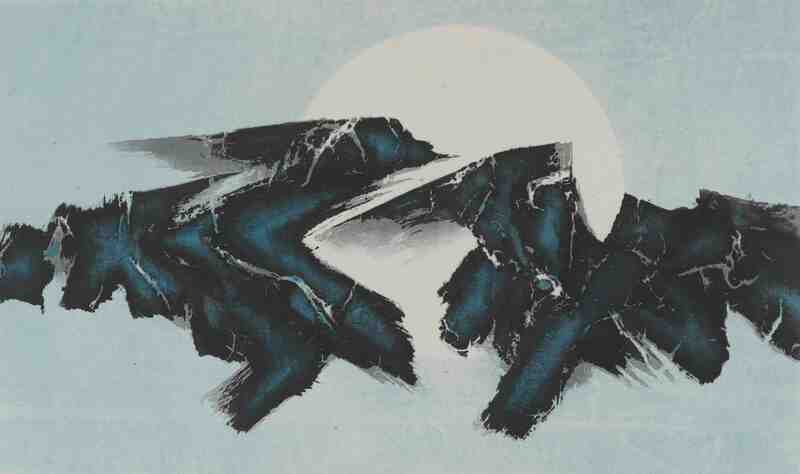 He moved, in 1949, to Taiwan and attempted to overtrow the conservatism in Chinese and Taiwanese art. 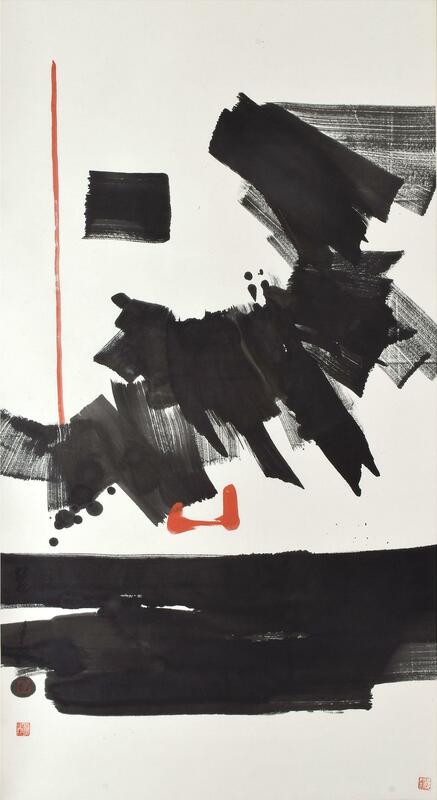 Embracing Abstraction and Abstract Expressionism, he creates dynamic landscapes which seem to express the forces of nature as well as the creative forces within painting and the human mind – a dynamic interplay. He also uses innovative techniques like „stepped ink“ and „water rubbing“ as well as collage, to give his paintings greater depth and texture. 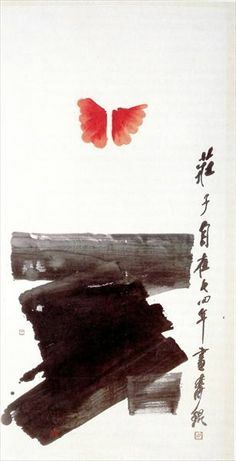 Most notably, Liu Guosong developed the idea of „revolutionary life force“ where, according to the freedom of creative mind, the ink is completely set free. 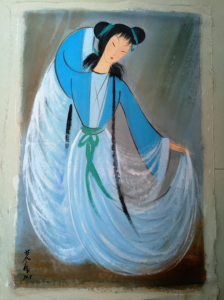 As a teacher, Liu Guosong allows his students to use whatever material they like and „the more different their paintings are from his, the better“. 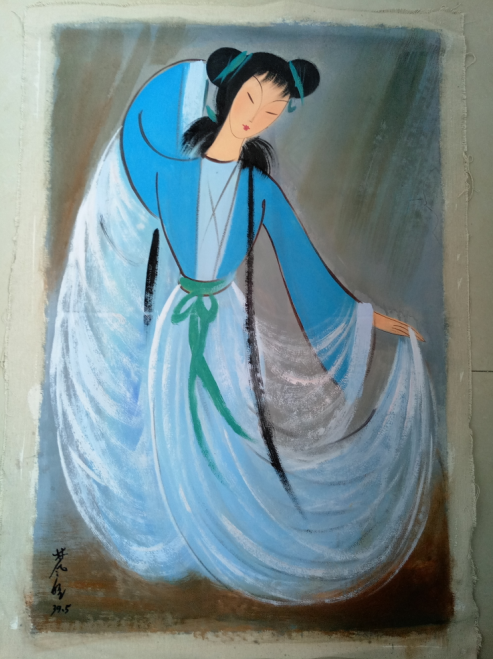 Lin Fengmian (1900-1991) artistically impressed people already as a youngster. As a student he spent many years in the vibrant Paris and Berlin of the 1920s where he got into touch with the Western avantgarde and mixed it with Chinese tradition. His life is a story of ups and downs within the turbulent history of China in the 20th century. 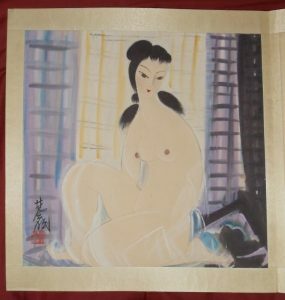 In the late 1920s he returned to China and became a respected artist and professor but his career experienced a setback within the Sino-Japanese War. Becoming more reclusive, Lin Fengmian further developed his style. During the Cultural Revolution he was forced to destroy a large part of his work and became imprisoned. The last decade of his life he spent in Hong Kong as his reputation in the Asian world increased once more. 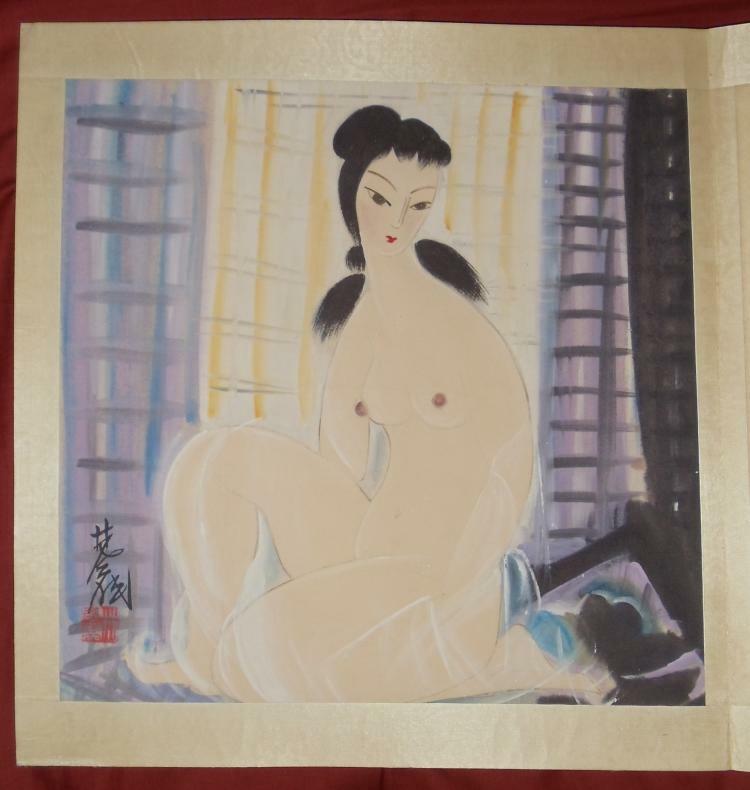 Not very well known in the West, his art amalgamated traditional Chinese style with Western avant-garde, and especially with his many paintings of ladies and nudes, he alludes to Matisse. Although more limited than Matisse (who has his own distinct limitations of well, though), his Ladies are very, very tasty and enchanting as they are stylised but, in that reduced manner, also an ideal of beauty, grace and elegance. His equally tasty portraits of nature show that Lin Fengmian was a true freak of nature.